The social development department has agreed to suspend the biometric enrolment of South African Social Security Agency (Sassa) beneficiaries after a meeting with the National Education, Health and Allied Workers' Union (Nehawu) on Wednesday. Thousands of Sassa employees embarked on a strike on Wednesday over several complaints, central of which was the biometric system. The strike has, however, not yet been called off because the union has to first present the agreement to its members. 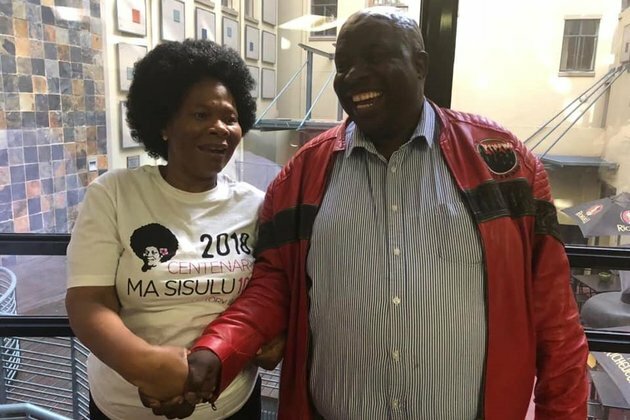 Nehawu general secretary Zola Saphetha said an agreement on various issues came about after a meeting between Social Development Minister Susan Shabangu and union president Mzwandile Makwayiba. "The meeting went very well. They agreed to suspend the biometrics and revert back to the system... which has always been used," he said. With the suspension apparently effective by Monday, he said a task team would use the remainder of the week to look at ways to avoid vulnerabilities which could lead to fraud. Makwayiba added that they have to take the agreement back to their members for a mandate to call off the strike. "By Monday, the expectation is that workers must be at work. Our demands have been met favourably... but the trade union has to get a mandate." Shabangu's spokesperson Thuli Nhlapo confirmed the suspension of biometrics was one of the issues agreed to. She said the department would issue a statement shortly.